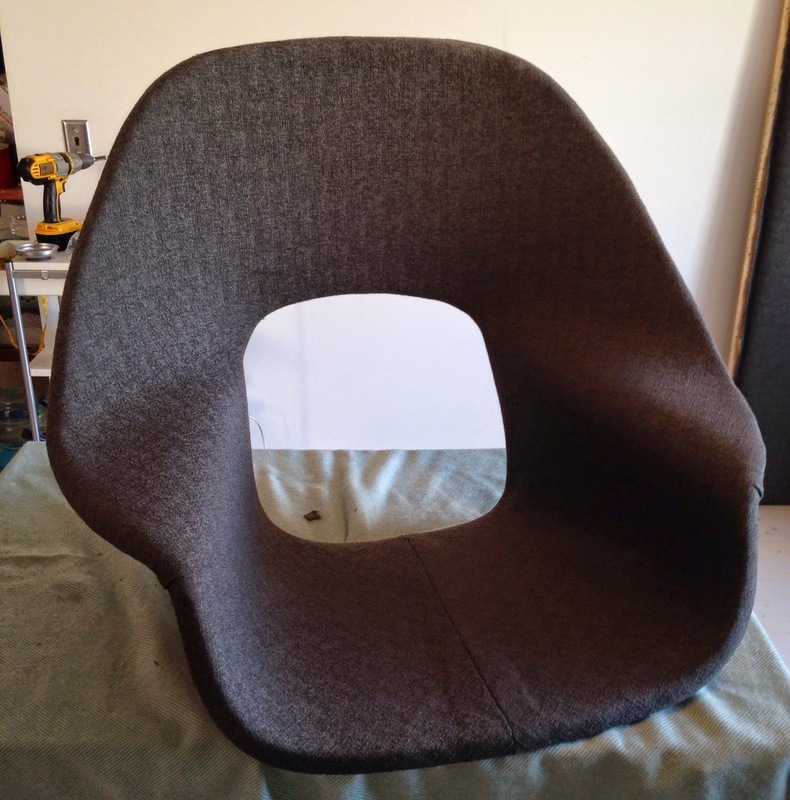 A few weeks ago I was lucky enough to find and early 1960s Womb chair by Eero Saarinen for Knoll. It had been reupholstered in a hideous pink fabric and all of the foam and cushions were dehydrated. 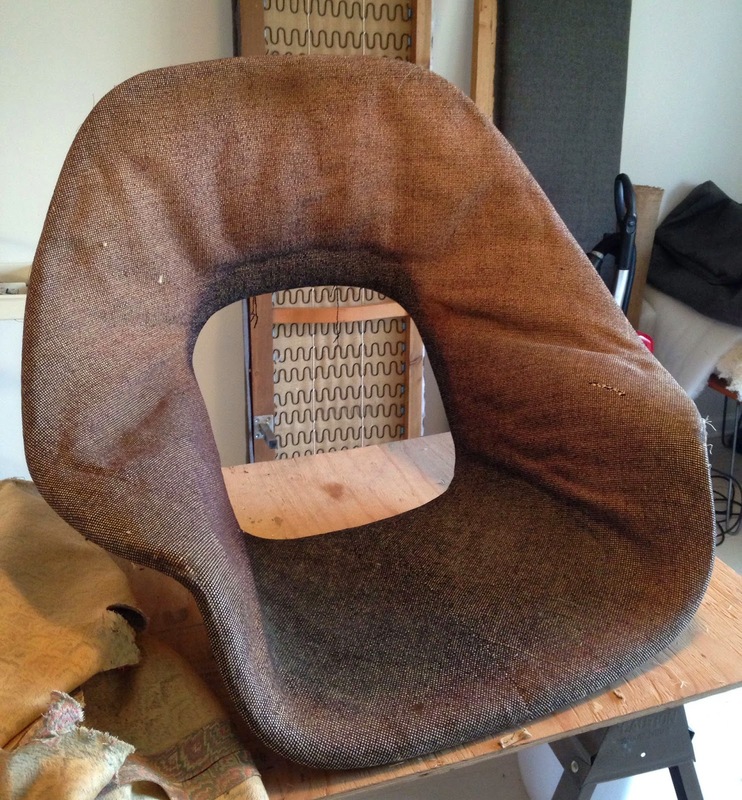 When we peeled back the pink fabric we found that the original Knoll fabric was underneath. 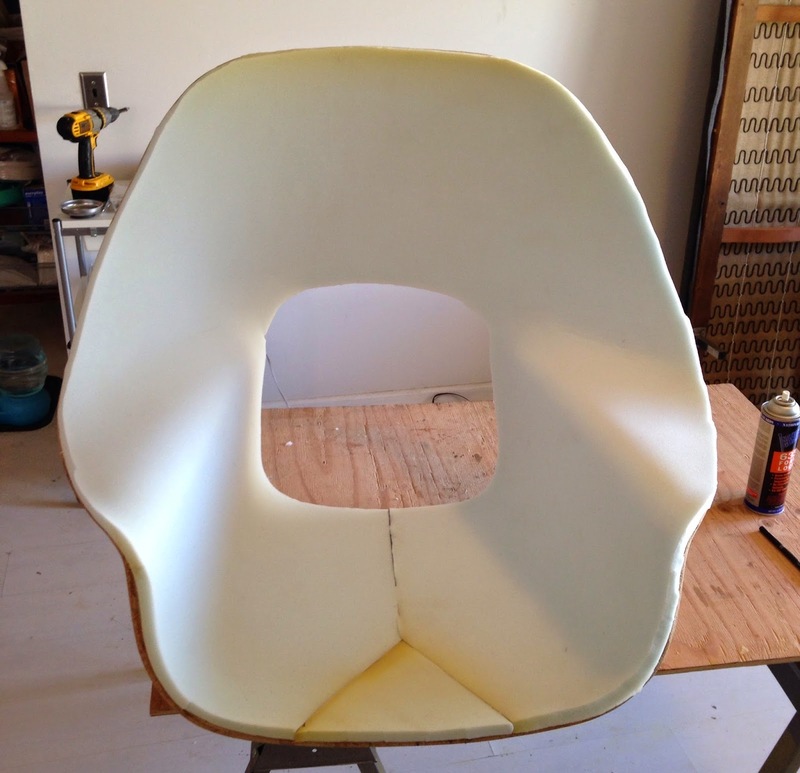 The original foam was dehydrated and had to be scraped and sanded off of the fiberglass shell. We then recovered the fiberglass shell with brand new foam. Heather reupholstered it in a modern steel grey fabric. It is now finished and we decided to keep it. What a great find! And nice job renewing it. It's great to see a beautiful piece of history getting new life. 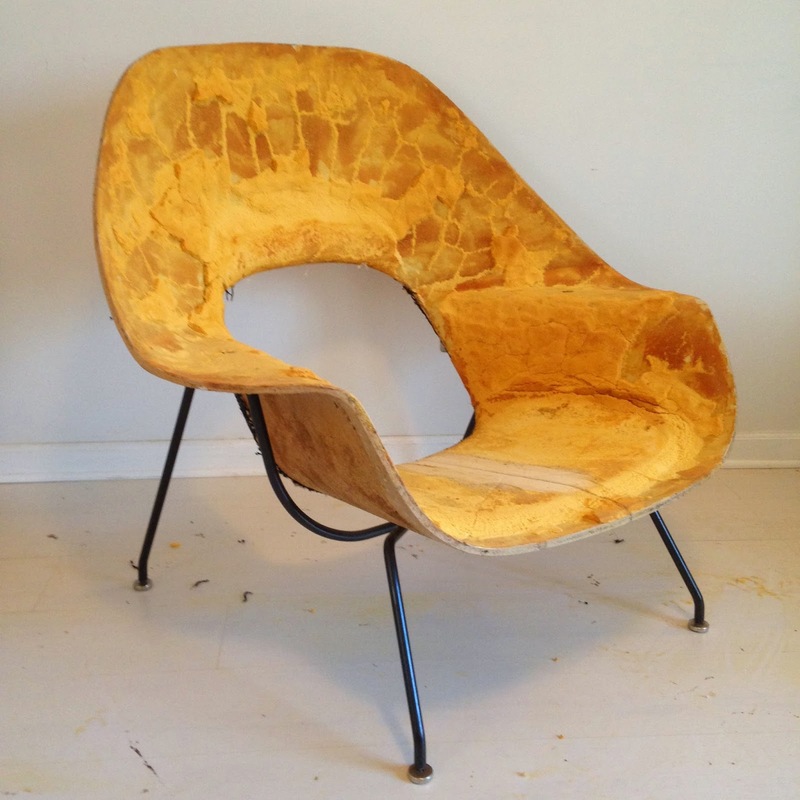 I included a link to this post in an online discussion for a modern furniture history class. Thanks for sharing it for all to see.